The reason for which this last stage is left until the latter stages of training, is because Krav Maga is best learnt by learning basic movements and the body’s natural reflexes for optimal learning. For example, to perform a parry against a slap is a natural movement linked to fear. Our natural survival instinct drives us to protect our head as a result of that movement. In Krav Maga we develop this parry ‘reflex’ to a high level. We then learn more unnatural movements but the most efficient is the ‘body defence’. 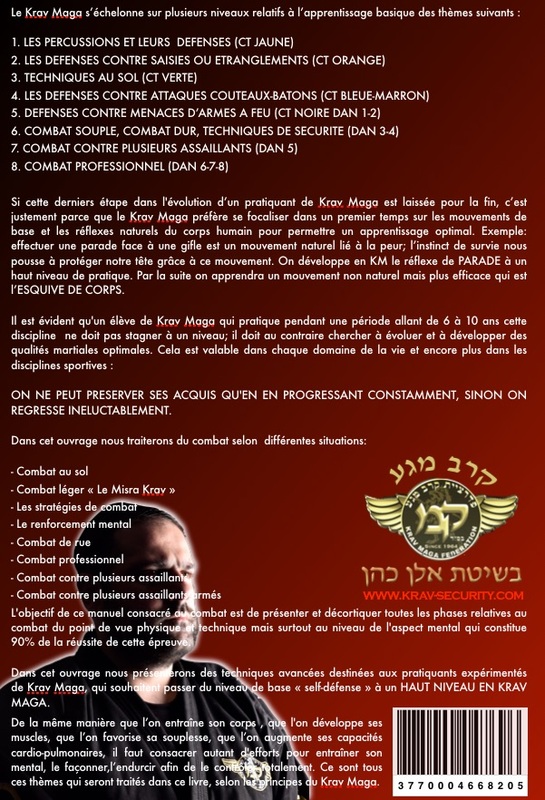 It has been demonstrated that a Krav Maga student who practices for a period of between 6 and 10 years will not plateau and remain at one level. He must instead try to develop his martial arts abilities to an optimum. This is true in every area of our lives, including in sports. WE CAN MAINTAIN THE LEVEL THAT WE ACHIEVE BY CONSTANTLY PROGRESSING, IF NOT WE LOSE ALL THE HARD WORK WE HAVE DO. The objective of this book is to present, dissect and deal with all the physical phases of the fight from a mental point of view as this constitutes 90% of the success of the outcome of the fight. 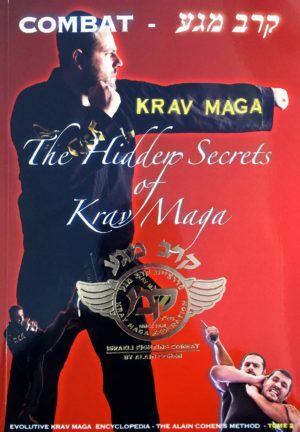 This work contains advanced techniques aimed at experienced practitioners of Krav Maga who wish to progress beyond simple self-defence to a HIGH LEVEL IN KRAV MAGA. In the same way that one develops the physical aspects of his body, muscle development, flexibility and cardiovascular capacity, one must spend as much time and put as much effort into increasing mental strength and developing control. It is these principles of Krav Maga that we will be looking at in this book.